Take a basic gray color suit and make it come alive with this burgundy and white collar cotton dress shirt and tie set by Avanti. 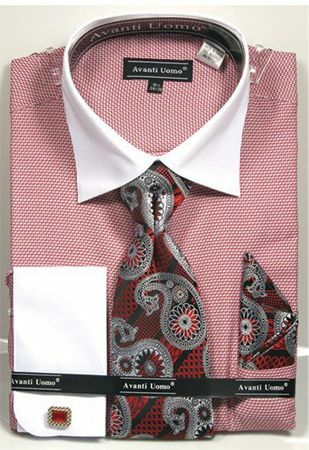 Featuring head turning Italian style made for the stylish man who favors flavor, these dress shirt and tie hankie sets can really bring style to your ensemble. Made of cotton fabric.